In 1821, Panama chose the course of what looked like the least violence at the time. Rebel armies under José de San Martín and Bernardo O’Higgins were running the Spanish crown out of most of southern South America, while the Spaniards had been rudely shocked after they thought they had Simón Bolivar’s army scattered in the Venezuelan wilderness when the rebels showed up behind Bogota to liberate what is now Colombia. There may have been somre royalists who liked the idea of Panama being the base for a Spanish re-invasion of South America but the pragmatic and unwarlike Panamanians decided on November 28, 1821 to formally cut the ties with Spain and join Bolívar’s Gran Colombia instead. Those loyal to Spain were allowed to board ships and depart Panama in peace. 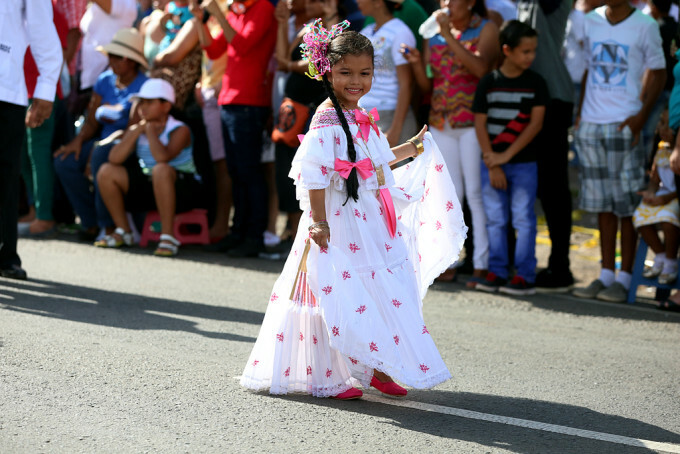 Now, 194 years later with the ties to Colombia having been cut along the way, President Juan Carlos Varela did a day of ceremonies, speeches and parades starting in Boquete, then after a helicopter ride went to more parades in La Chorrera. 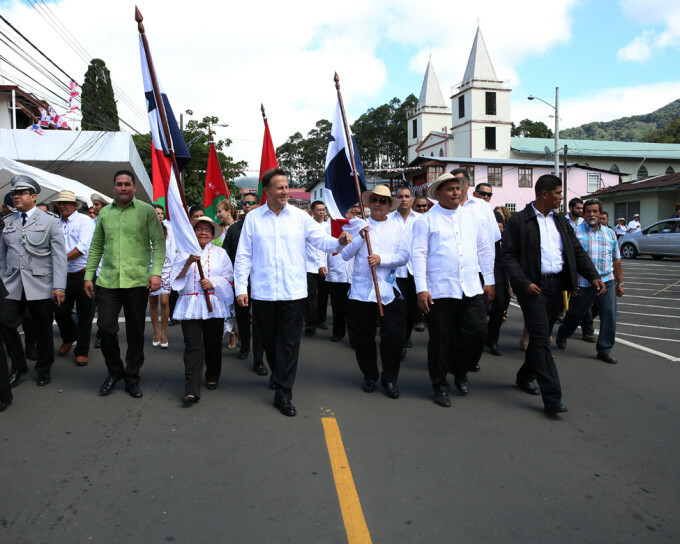 The speeches were not about glory and martyrdom on the battlefield but things like better air service for Chiriqui province and civic and family values in La Chorrera. 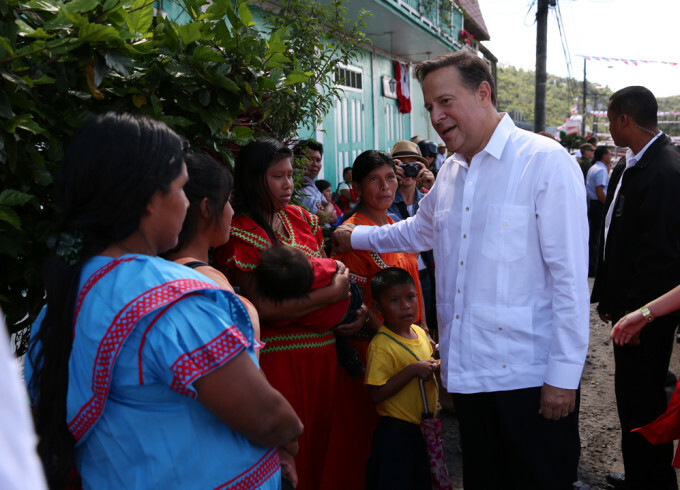 Greeting the Ngabe community in Boquete. 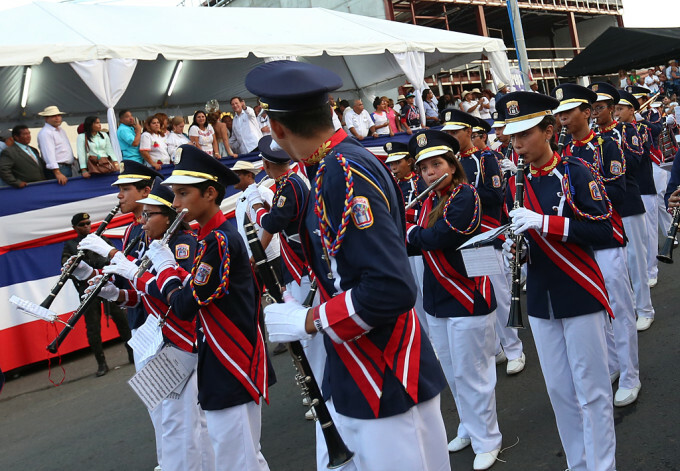 In La Chorrera the independent marching bands were the main attractions. Marching by the reviewing stand. 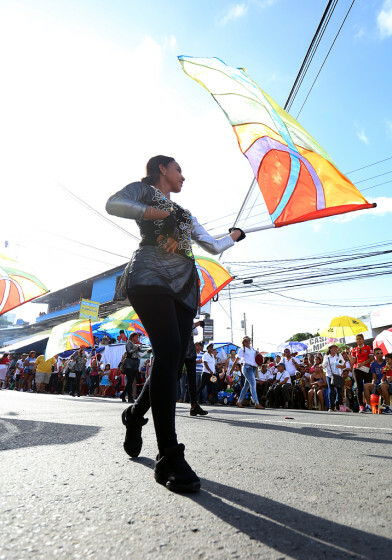 This is Panama — of course there will be polleras in the parade.